Home Perspectives Kashmir: Nehru to Modi – What’s Changed? 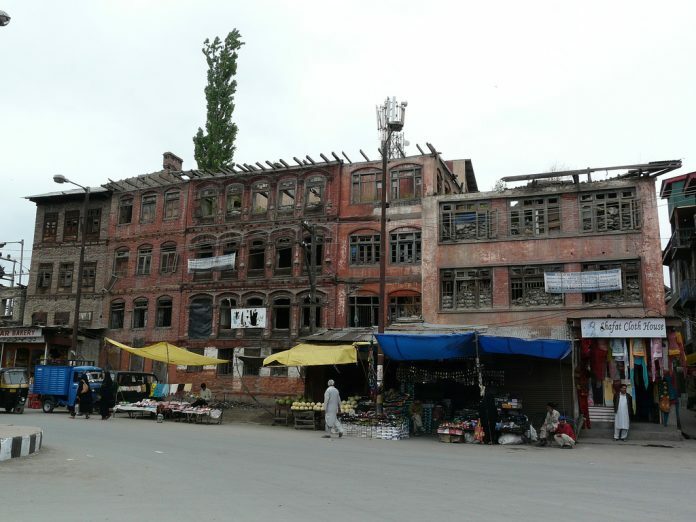 Generations of Kashmir’s population have waited in vain for an end to India’s brutal military occupation and to celebrate their independence – finally as free people. Alas, seven decades have passed and the deep-felt desire to stand proudly alongside free nations of the world, remains as elusive as ever. Seventy years of struggle for a free, independent and sovereign Kashmir, have instead been marred by countless deaths, massacres, rapes and wanton destruction. And the storyline is no different to that of other similar freedom struggles, whether in the past in South Africa or currently in Palestine. The occupiers are the villains and the occupied the victims. As has been the case in South Africa’s epic battle against apartheid, the perpetrators of crimes, more specifically war crimes have been repressive state security institutions under the command of the executive. Kashmir and its population are at the receiving end of India’s military. On orders from the powers seated in Delhi, the military has a single goal: crush the dreams of Kashmiris! And at any cost would be the orders. Narendra Modi struts the global stage hoping that hobnobbing with the Trumps, Netanyahus and other fellow rightwingers will enhance his public image as a statesman. Unfortunately for him, his reputation as a war monger precedes his current position as the leader of the world’s largest democracy. Following the Gujarat massacres, Modi was placed on America’s list of terrorism and barred from travel there. The ban was lifted following his election to victory and overnight both the United States and the United Nations seemed to erase his deplorable human rights violations from memory. Modi has cultivated an aura of invincibility amongst his millions of followers. His leadership of the BJP, an extremely right-wing party, has placed him on a path to reclaim India as Hindustan, which evidently has had a devastating impact on Kashmir. The BJP regularly argues that the policies it pursues in the Occupied Territory are not any different to that of the Indian Congress. In fact, to deflect criticism of its harsh crackdown, Modi and the BJP insist that they are maintaining the same security measures as that of the previous government. Indeed they point to the historical dawn of independence from the British Empire, to justify the current militarization of Indian troops in Kashmir. Though there’s a huge gap between Modi and one of the leaders of the independence movement, Jawaharlal Nehru, many historians who have researched the issue of a plebiscite on Kashmir, reveal how this fundamental pillar has been manipulated. Shockingly, Nehru has been fingered as devious having arrived at an agreement with Pakistan on plebiscite in January 1949 and a cease-fire, merely “to buy time”. Such double talk has characterized India’s record of non-compliance and deplorable subjugation of Kashmir. Modi has excelled in brutality but in enforcing his government’s will has remained faithful to Nehru’s double standards. It is admirable that as in Palestine, the population of Kashmir have remained resolute in their determination to resist occupation. Kashmir is a breathtakingly beautiful mountainous valley, surrounded by equally lush terrain. The land of Jammu, Muzaffarabad, Gilgit, Baltistan and Ladakh borders Pakistan, Afghanistan, Xinjiang and parts of Tibet. Previous articleWhat the hell am I?